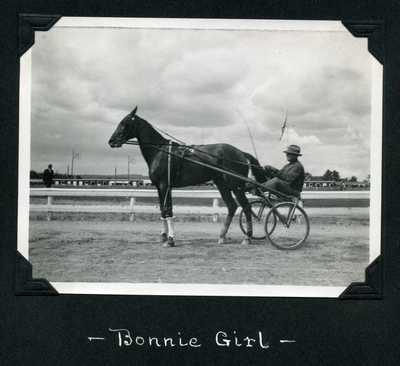 Black and white photo of chestnut gelding Bonnie Girl and owner/driver H.A. Nevers posing in the back stretch at the Skowhegan Fair trotting park. Bonnie Girl took second in "The Decumco" 2.16 Trot.